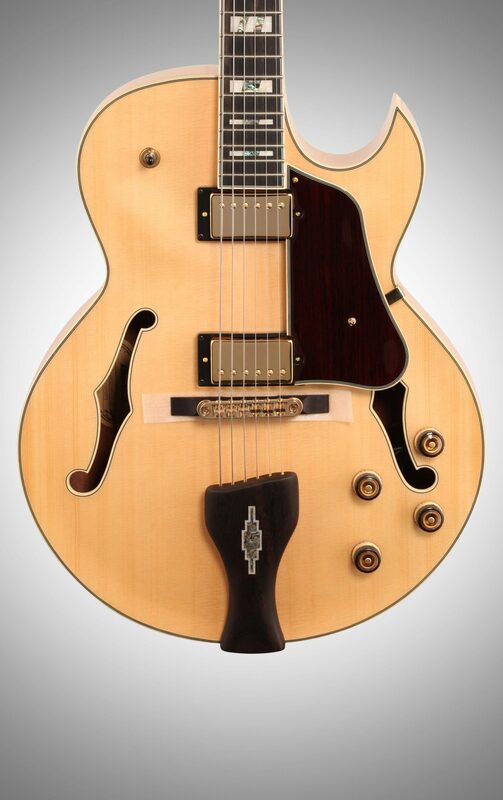 The Ibanez LGB30 George Benson electric guitar brings George Benson's famous hollowbody tone to your fingertips. 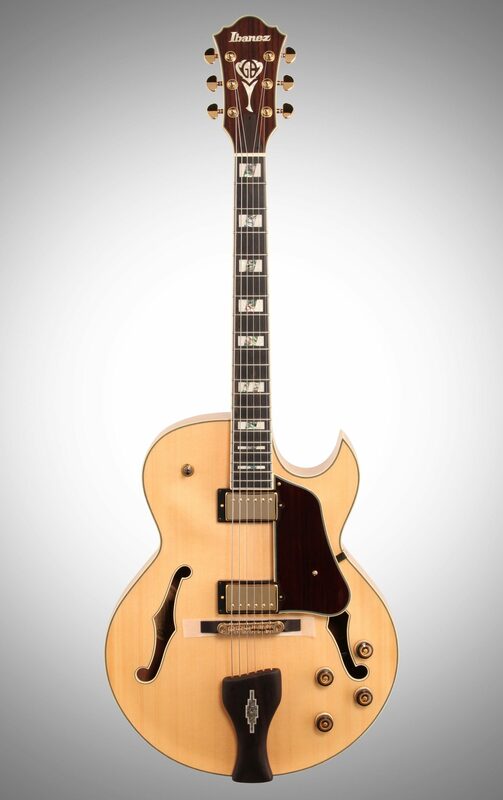 Part of Ibanez's Artstar series, this beauty is all about looks and tone. It sports attractive gold hardware on a striking, bright-sounding spruce and maple body with a classy single cutaway, a pair of warm and clear Super 58 Custom humbuckers, a three-piece mahogany/maple set-in neck, a smooth bound ebony fingerboard with tasteful pearl and abalone block fingerboard inlays, and independent volume and tone controls for each pickup. Your tone will sound vibrant and bright, thanks to this guitar's maple and spruce body. Spruce is a great tonewood for guitar body tops due to its visual aesthetic and crisp projection. Maple will bring in some snap and rounded brightness to keep your signal nice and vivid, while a single cutaway gives your fingers easy access to those higher frets. 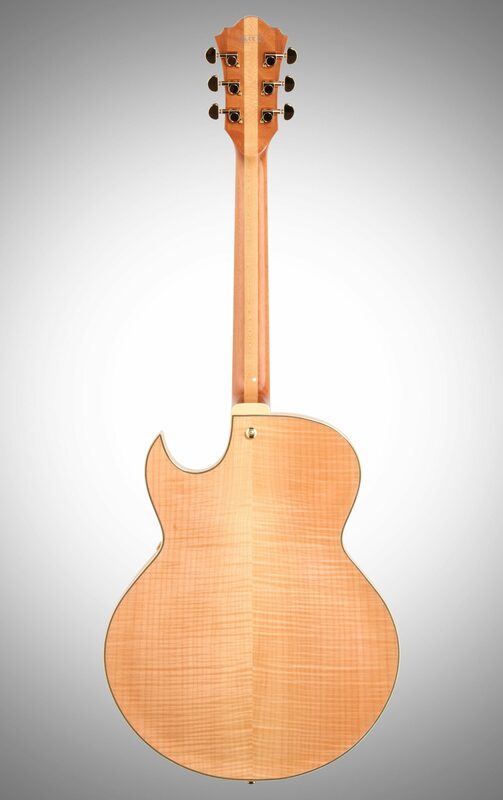 Bringing in a little body and depth is your Ibanez LGB30's three-piece maple/mahogany neck. Mahogany will push the lows and mids nicely with a helpful dosage of sustain as well. 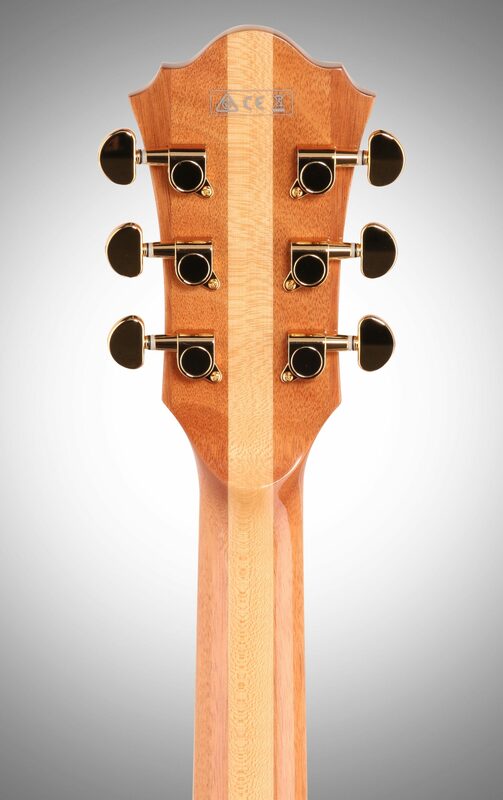 Set-in neck joints tend to have a smoother transfer of sound, greater overall resonance, and more warmth than bolt-on necks. 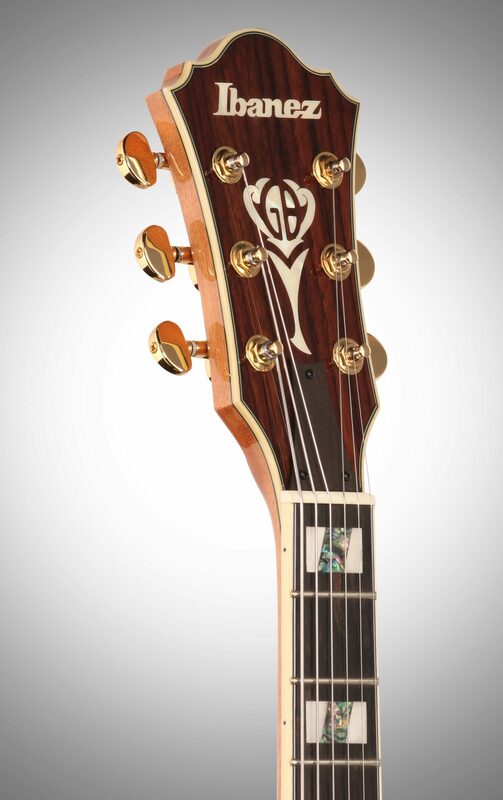 22 frets are housed in a super-smooth bound ebony fingerboard with pearl and abalone block inlays. The pair of Super 58 Custom humbuckers on your Ibanez LGB30 George Benson electric guitar are the perfect companions for forging a warm, jazzy tone for your amplifier to project. These humbuckers feature alnico magnets to capture the resonance of this axe's spruce and maple body. Each pickup has its own volume and tone control for you to shape your output. 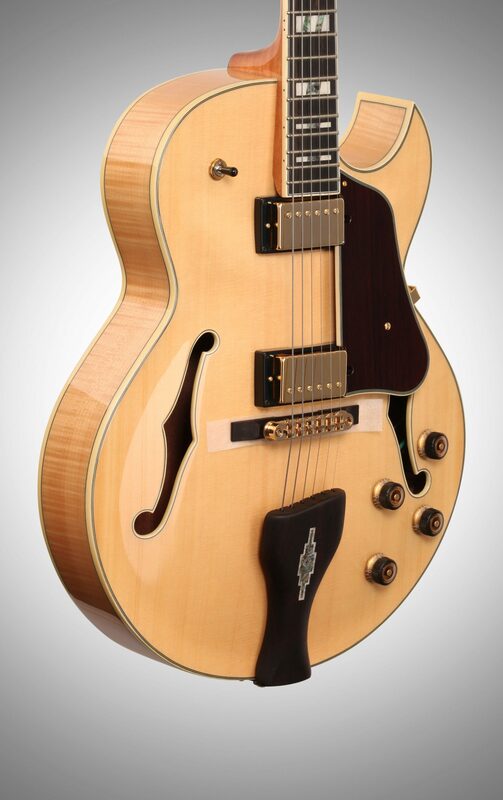 - Scale length of 24.75"
Body Max Depth: 3 5/8"
For over 30 years the relationship between George Benson and Ibanez has resulted in some truly elite hollow body guitars. Now, as the first Signature Model of the new Ibanez Artstar Series, a more affordable version of the LGB300 has arrived, with the LGB30. 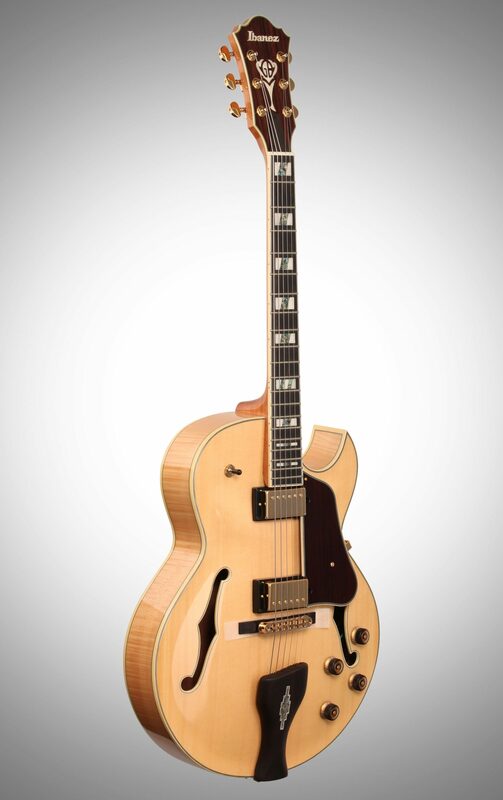 The Artstar Series consists of high-quality instruments for the working professional musician and the Benson model serves as an auspicious debut. The LGB30 includes a spruce top with Flamed Maple back and sides, 3-piece Mahogany/ Maple set neck, Ebony fingerboard, Bone nut, LGB300 custom tailpiece and gold hardware. Highlight features that really let the LGB30 shine are two Ibanez Super 58 Custom pickups, the Artstar Fret Edge Treatment (for a fast, smooth feel). LGB30 includes hardshell case. Overall: The fit and finish out of the box is more than I expected. The sound even just acoustic was great. Plugged it in and ran a couple of runs and sounded better than the Gibson I had considered. I never would have thought the Ibanez could have that quality in a China made guitar. The attention to the fret finish was a fine detail. Not a guitar I plan to trade off for sure. If you are looking for the best of both worse, this may be your choice. Style of Music: I love all music except opera. Overall: this guitar is great! flawless finish...also comes with an extra wooden bridge. the nut and a couple of frets were a little high. a trip to the local luthier solved that problem ...the guitar plays like butter and intonates perfectly. this is my first time ordering thru zzounds and the experience was great. the rep helped me every step of the way. I play Jazz and blues (in two separate groups) the lgb excels in both styles. the Ibanez 58 custom pickups sound great on stage and in the recording studio.